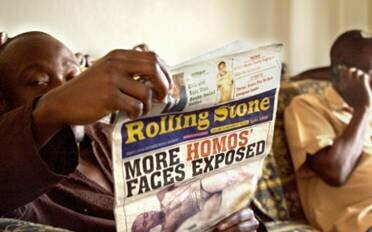 Homophobia is rampant across the African continent. But in Uganda it has been taken to a new—and perilous—extreme. Here, homosexuality is not only considered sinful; it is illegal. From Kampala to the remote villages, gay people—or kuchus, as gay people are known—are at risk of being beaten, harassed and even stoned to death. 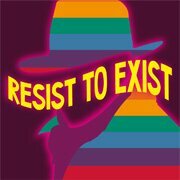 And a new Anti-Homosexuality Bill has been introduced in Parliament which would take the law several steps further, imposing a death sentence for HIV-positive gay men and a three-year prison sentence for anyone who fails to turn in a known homosexual—even your own child. Meanwhile, the government, the media, church leaders and American evangelicals are actively fueling the fire of intolerance and hatred throughout the greater population. The editor of one local tabloid is mercilessly outing gays on its front pages, encouraging violent reprisals such as hanging. Yet amidst all the venom and homophobic fervor, veteran activist David Kato is undeterred in his fight for the rights of the LGBT community. The first openly gay man in Uganda, Kato boldly dares to protest publicly—in the courts, on television, at the United Nations—despite the great personal danger it poses to him and his small band of fellow kuchu activists. Yet no one truly expects the tragedy to come, when Kato is suddenly and brutally murdered. A traumatizing loss for the kuchu community, his death resonates throughout the world and becomes a lightning rod for gay activism and LGBT rights in Africa. A Teddy Award winner at this year’s Berlinale, Call Me Kuchu is a remarkable portrait of one man’s courage and conviction and the inspiring final testimony of a true David fighting a vociferous Goliath. 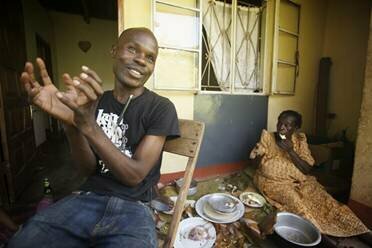 Join Ugandan activist, Stosh Jovan, in the after film discussion.